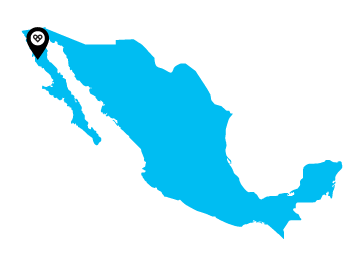 Just south of California, there is a beautiful Mexican state called Baja California. In that place there is an area called the San Quintin Valley, and in that valley, many of us in Live Different have made a whole lot of memories and have been transformed by our experiences. San Quintin is an irrigated agricultural area surrounded by beautiful desert only four hours south of San Diego. The Live Different base is located on the west side of the peninsula, just a couple of miles from the Pacific Ocean. The cool breeze coming off the ocean moderates the temperature, but in our part of Mexico, the days are warm, the nights are cool, the food is amazing, and the people will capture your heart! While Mexico has experienced some gains in the past decades and is no longer considered a developing country by the international community, once you arrive, you will see that there are still many people who are living and working in incredibly difficult conditions. Many of the people living in the San Quintin Valley have moved to the peninsula from mainland Mexico, most commonly from the southern state of Oaxaca, in search of work in the fields of vegetables and fruit. Many of them arrive with no savings, sometimes only speaking their indigenous languages, unable to read or write Spanish, and without birth certificates, which in turn limits access to health care and education. Despite all this, we have come to realize that our friends here are resilient, creative, and generous with the little resources they have. 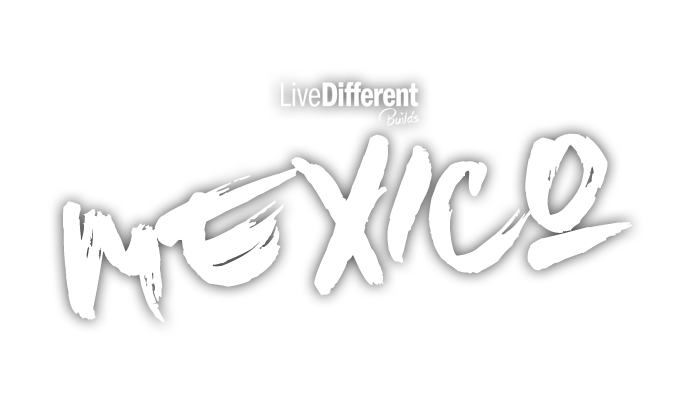 As a result of the need we saw in the town of Vicente Guerrero and the surrounding San Quintin Valley communities, Live Different started working in Mexico in 2005. Many of the migrant families living here are forced to construct their small homes out of whatever they can find: scraps of wood, cardboard, and plastic. 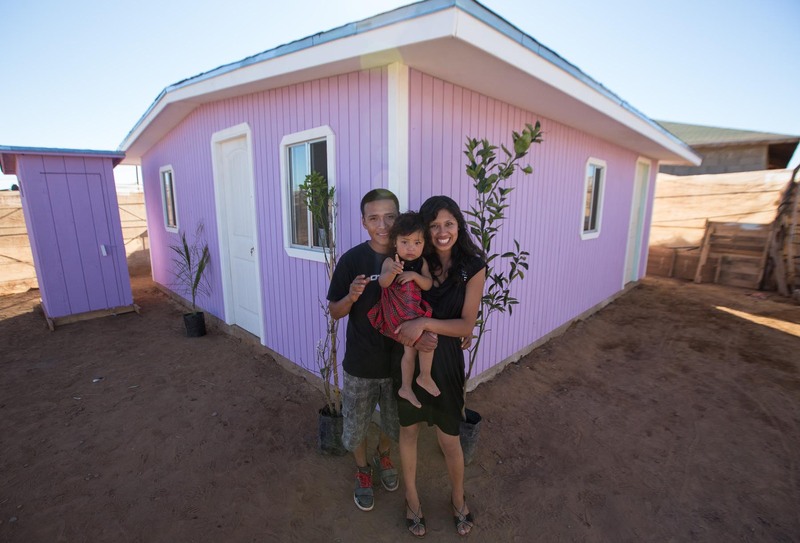 Thanks to the help of Live Different volunteers such as yourself, we have been able to build many homes, schools, and clinics in various communities in the area – and we have each been changed in the process. The structures that we build are simple by our standards, but each home, school, and clinic is so much more – it is a beacon of hope for a better future, a reminder of the solidarity of friends from different cultures, a place of security and refuge after a long day of work, shelter from the dust and rain, and a place for celebrating the big and small joys in life. Follow J.R. Alli’s life changing experience in Mexico. This is a sample itinerary for Mexico, your trip itinerary may be slightly different than this. Time to purchase gifts for the families’ home. House Dedication. 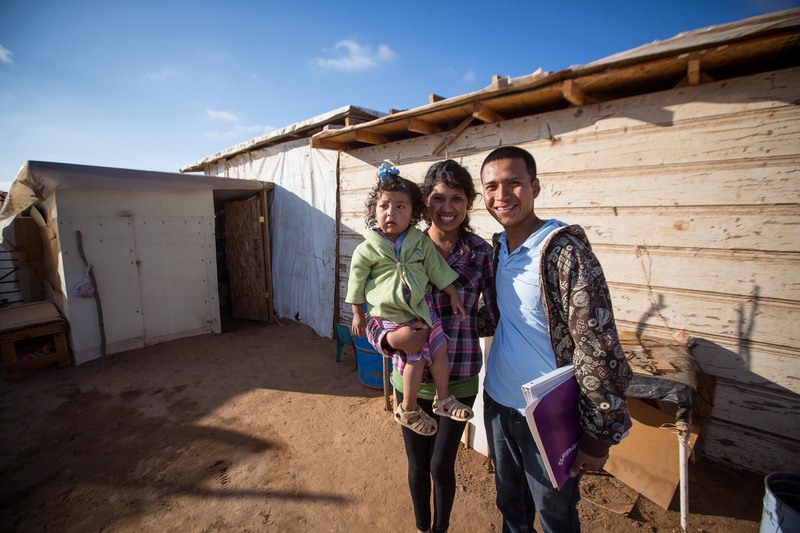 Have you ever wondered what it would be like to hand over the keys to a brand new home and give the hope of warmth, security, and a brighter future to a family? This gift and moment will be etched in your memory for many years to come. Preparation for what is next – Your Live Different Build is going to be one of the most intense and life-changing experiences you will ever have. Because we believe that this is just the beginning of something for you, we want to help prepare you to return home and integrate this experience and the lessons learned. On the final day of our trip we will have a final debriefing that will help you to take this experience and help others understand how we can make a difference in our global community. Today is an opportunity to explore some of the beauty the Baja has to offer. Drive up to San Diego, California. Dorm style accommodations will be provided, location depends on the size of the group. While in Mexico you will experience a wide variety of food. We serve a balance of familiar North American food along with a cultural experience of some special Mexican meals and treats! All meals are carefully prepared and are full of nutrition. We do our best to cater to specific dietary restrictions, so please inform us of any restrictions you have at your time of registration. This Live Different Build has benefited me in ways that I never thought possible. It truly was a cleanse for the soul and I can honestly say that it will always be one of the most important things I have ever done in my life. The impact it had on me as a person is incredible and I would not trade this feeling of fulfillment for anything. It opened my eyes to what truly is important in this world and for that I am thankful. I promise that if you do decide to go on this trip, you will not regret it. I went on this trip on my own and came out with a close family. Live Different Builds are definitely what this world needs more of. Also, always remember that change starts with you. Questions about our work in Mexico?